A fabulous new top by Ninth Moon designed to be worn during and after pregnancy. 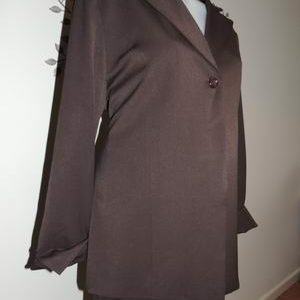 The top is made from a viscose elastane blend and is very soft with plenty of stretch. 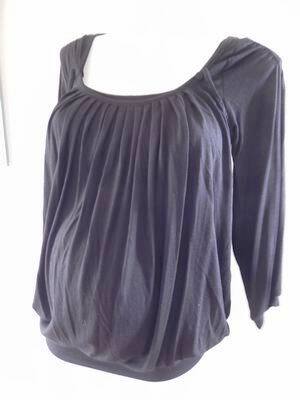 The top has loose 3/4 length sleeves. It has a round neckline – it as a button on each side and when opened, the front drops down to reveal a balcony style top which can be lifted for discreet breastfeeding. 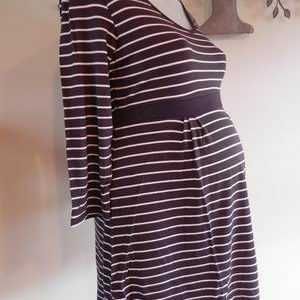 The top has fabulous gathering which really enhances your baby bump, and a wide band which sits on the hip. Be the first to review “NEW Charcoal Round Neck Drop Down Feeding Top” Click here to cancel reply.